Culture and gender-studies researcher Whitney Stark argues that Newtonian physics is oppressive. A feminist scholar has published a paper claiming that Newtonian physics is oppressive and that we must use “quantum feminisms” to make the science more intersectional. This structural thinking of individualized separatism with binary and absolute differences as the basis for how the universe works seeped into/poured over/ is embedded in many structures of classification, which understand similarity and difference in the world, imposed in many hierarchical and exploitative organizational structures, whether through gender, life/nonlife, national borders, and so on. According to Stark, the tendency to categorize in this way particularly hurts marginalized people because it can cause the activist efforts of minority groups to be “overshadowed” by the efforts of dominant groups. “For instance, in many ‘official’ feminist histories of the United States, black/African American women’s organizing and writing are completely unaccounted for before the 1973 creation of the middle-class, professional National Black Feminist Organization,” Stark writes. Honestly, all of this makes perfect sense. Personally, whenever I think about oppression, the very first thing that comes to my mind is: “Damn it Isaac Newton! This is all your fault!” I’m just glad someone is finally writing about it. Maybe someday we can take it a step further, and replace all lessons on Newton in our schools with lessons on quantum feminisms. Ah, yes. Then, and only then, will our nation be truly great. This story was initially covered by the College Fix. 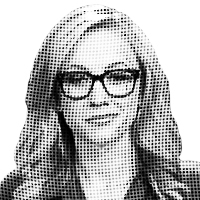 – Katherine Timpf is a reporter for National Review Online. Editor’s Note: This article has been emended since its original publication. While Stark believes that “Newtonian physics” is oppressive, this article originally stated that Stark believed physics as a field to be oppressive.